1x Baby Feeding Towel. 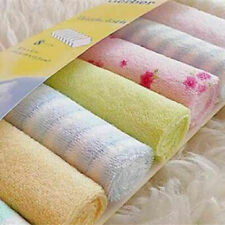 Soft cotton towel, double-line edge banding. Item include. MULTI-FUNCTIONAL- You can use the fingertip toothbrush to clean the teeth,and use the back clean the tongue.The Oral Massager can massage the baby's gums, help them relieve teething discomfort. Concentrate on baby oral health. Soft on a baby's skin, refreshing and pleasant. Material: 20% Polyester and 80% Cotton. the picture is just for reference. Type: Random Color. 80% Organic Cotton / 20% Poly Terry. AMAZING OUTPUT BUBBLES --- Frog Bubble Machine can produce colorful bubble madness. Blow out countless bubbles and keep your kids entertained. Creat a dreamlike bubble world for kids.adding more bath cream,the bubble is more plenty. The kettle is very convenient for the parents to wash their heads for their babies. 1x Bathing Toy. It will be a perfect gift for children, they will love it and love taking showers. Our goal is. Lovely designs make babies fall in love with baths. Soft on a baby's skin, refreshing and pleasant. Material: 20% Polyester and 80% Cotton. We will do our best to solve your problem. Features: 1. Feeding 2. Wash your face 3. Shampoo bath 4. Diaper towels 5. Pillows towels 6. 10X Baby towel (other accessories demo in the picture is not included). Great gift for your baby. Safety Baby Swimming Neck Ring · Happier Stronger Babies. ❤Freedom to move for you and your baby. 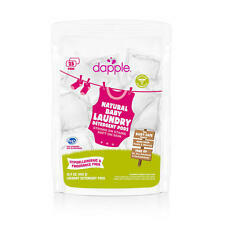 Keeping your hands free makes it easy for you to wash or play with your baby for example. ❤Children exercise their muscles by kicking their legs and by pushing themselves off against the edge of the bath. Turn on the LED Tub light and say good-bye to the dirty diva drama. and those toddler tub tantrums. The Tub light is made of durable plastic, with a watertight and water safe long-lasting LED light display. Kids just love to play with them in the bathtub. Material: PVC. Great for decorations, party favours or give away. We will do our best to help you to resolve your problems. Size: 10 9 9cm. We will try our best to reduce the risk of the custom duties. SUPER SAFETY - These non-toxic toys are made of child safe durable ABS resin. Safety and health, learning while playing, thus protecting the safety of baby greatly! Napkin Rash, Eczema, Bed Sores. Occasionally, local hypersensitivity may occur. AMAZING OUTPUT BUBBLES --- Crab Bubble Machine can produce colorful bubble madness. Blow out countless bubbles and keep your kids entertained. Creat a dreamlike bubble world for kids.adding more bath cream,the bubble is more plenty. Soft on a baby's skin, refreshing and pleasant. Perfect for bath time, after meals or as a gift. 100% Brand New and High Quality. 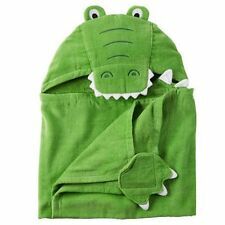 Material: 20% Polyester and 80% Cotton Type: Random Color Size: Approx 22cm * 22cm Package Includes: 8pcs/pack baby towels Brand Unbranded MPN Does Not Apply UPC Does not apply. 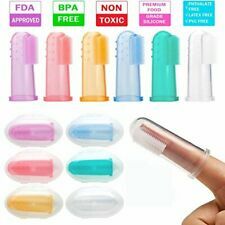 BABY INFANT PEDIATRIC SILICONE FINGER TOOTHBRUSH TEETH RUBBER MASSAGE BRUSH. Exceptions are stated below. PRIVACY AND PROTECTION OF PERSONAL INFORMATION Your privacy is important to us. They are required to maintain the confidentiality of the information and are prohibited from using that information for any other purpose. The Blooming Bath Poppy has a new design and is a great alternative to our Blooming Bath Lotus. (2) The bottom fabric has traction dots so it stays put in the sink, and (3) The petals are webbed so that they stay in place for good safe sink coverage. 10 Pcs x Baby Handkerchief(Send by random). Due to the difference between different monitors, the picture may not reflect the actual color of the item. We will sent at random, can not selectable color and pattern. Sudocrem Antiseptic Healing Cream 400g. SUDOCREM ANTISEPTIC HEALING CREAM 400G. It can also be used for other skin conditions as a soothing, protective antiseptic cream and will help to treat cuts, grazes, minor burns and sunburn. 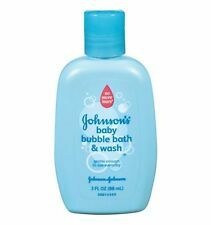 Aquaphor Baby 3 In1 Diaper Rash Cream 3.5 Oz. JAFRA Tender Moments Fresh Baby Cologne 3.3 Fl.oz. There are many types of baby bathtubs for baby washing. There are full tubs that fit in your bathtub or sink. There are bath seat rings, chairs and slings to help transition to a full-sized tub. And there are even free-standing complete luxury bath spas. The type of baby tub you need will depend on your baby's age and the bathroom space in your home for baby cleaning. For maximum versatility, consider a convertible tub that will take you from infancy to toddlerhood. Name a bath accessory for adults and chances are, it comes in baby size. From organic baby lotion to the softest baby washcloths to full baby skincare lines, you can find it for your bundle of joy. With eBay as your baby bath shop, you'll quickly find all the baby bathing products you need! You’ll need a list of additional baby bath tools. Some of the essentials include a set of grooming products, including combs, brushes, and nail clippers, baby washcloths, and a Health-O-Meter or other brand baby scale. Beyond the baby shampoo and baby moisturizer, you’ll need bath toys to keep your little one entertained while he or she rub-a-dub-dubs. 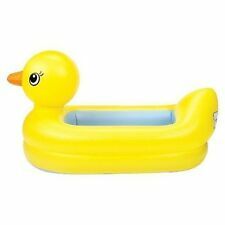 Shop eBay for a rubber duck and many other toys that make baby bathing fun, including bath crayons, character baby soap and a range of other bath accessories. As parents, naturally we only want the best in bath accessories for baby—and that means buying from brands we trust. With eBay as your baby bath store, you’ll find a wide selection of brands and products. 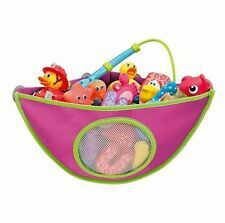 Shop for bath accessories from Safety 1st, Johnson's baby shampoo and soaps, Luvable Friends baby towels and washcloths, Trend Lab baby bathing gift sets and more.